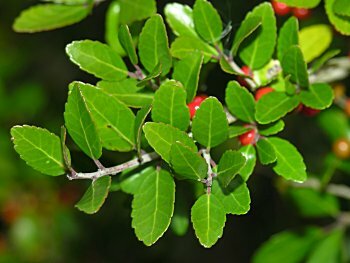 Ilex Vomitoria, or Yaupon Holly, is a small spreading evergreen tree that grows upright or as a large shrub reaching 15-25 feet tall. The foliage is small gray-green and leathery. Ilex needs well-draining soil without regard to pH levels and will thrive in loam, sandy soil, or even clay. Yaupon holly is a native of North America. 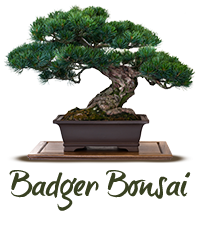 They are excellent to work with and will make quality medium and shohin size bonsai. They bud back readily on old wood. Yaupons are easy to take care of and thrive in full or partial sun. 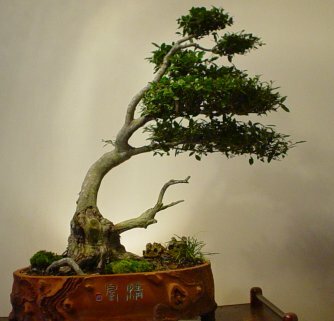 Yaupons seem to lean toward the ‘old oak tree’ style when shaping for bonsai. Small flowers will appear on second year wood in the spring. Yaupon are only hardy in zones 7-9 so a lot of winter protection is required. You can treat it as an indoor up here. Pests include leaf miners, mites, aphids, and scale but none are really a serious threat to the health of plants and no known diseases affect the yaupon. Watering daily in the hottest part of the year is very important since missing a day may cause leaf drop and twigs to die back. In nature, yaupons grow along stream and river margins as well as in more arid regions such as sand dunes. However they require consistent watering to promote good growth. It is critical to fertilize carefully in the spring when new growth is at it’s peak. You can encourage smaller leaves in March, April and May by using 1/4 strength soluble liquid fertilizer or one tablespoon of organic fertilizer to a gallon of water every two weeks. To maintain the shape of yaupon holly bonsai, trimming is one of the most important things to do in the spring and summer. Cut the new growth back to two sets of leaves when six to eight pairs have developed. This is the most effective way to control the design of your tree. Good ramification will be evident after only a few years of this clip-and-grow training. Constant care must be taken with older trees so strong shoots don’t develop and dominate the design of your bonsai.